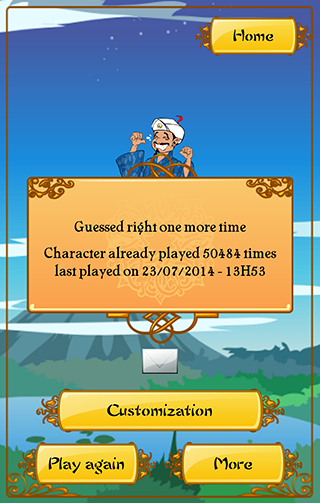 Akinator has been a smash hit smart phone application all over the world since 2010. Akinator is available in over 200 countries, reaching the top ten rank or better in over 100 countries in the Entertainment category across various app markets. In Japan, Akinator has consistently held the top spot for paid Entertainment applications for over two years. Before playing, you are asked to imagine a person or character, such as a famous actor, musician, athlete, anime character, etc. 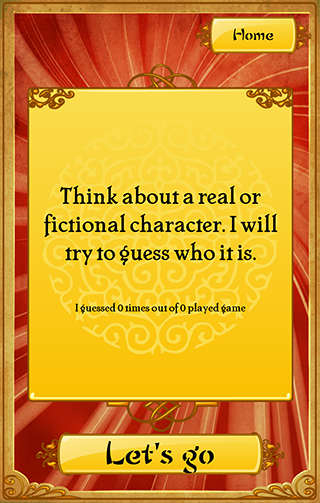 After answering a series of Akinator’s questions, the imagined person or character is guessed correctly, using our custom-built logic engine. Try it out and be amazed, as have many people around the world! 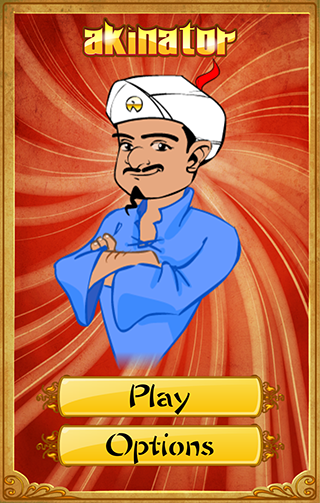 With parental controls, Akinator is fun and safe for players of all ages! Akinator is available at all of the following locations! au Smart Pass Supported on Android, iPhone, and Tablets. Yahoo! Premium Supported on smartphone web browsers. App Seru Supported on Android devices (native application). NTT DoCoMo D market app store Supported on Japanese domestic feature phones. Mobile website Supported on Japanese mobile phones. Also available as native apps on the iOS and Android app markets!